In one of the Sparx sites I am supporting an urgent need existed for deduplicating elements in a large EA repository. In the previous period a large number of Architects worked in the repository and there was no procedure for preventing duplicates. To improve the content of the repository the fist step is to deduplicate content based on scripts. 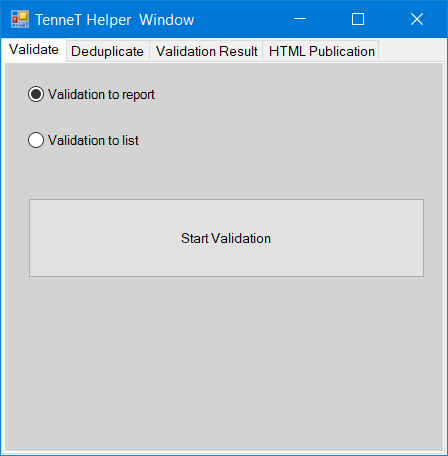 Before we do the duplication we have the possibily to generate a report of the duplicate elements or we can get a summary overview within this extension (see screen 3). 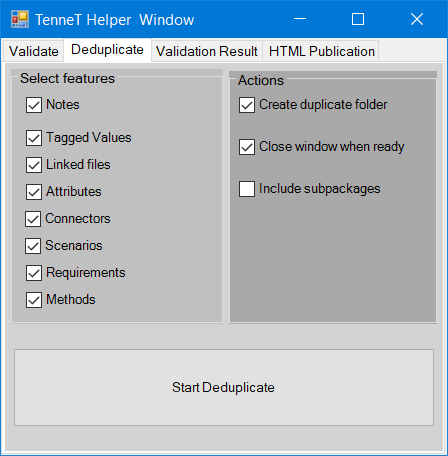 This screen shows the result f the validation list option.It gives a list of the duplicate including the name, the package and the author of the duplicate. 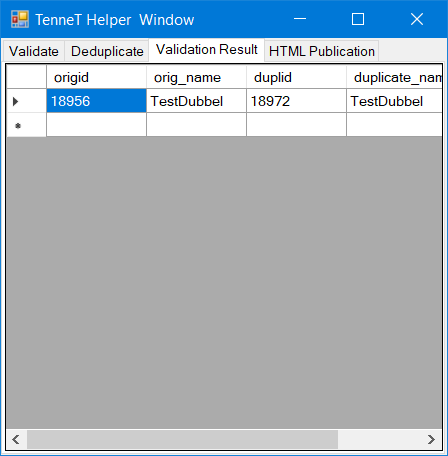 This gives you an option to modify the elements before you merge them with the deduplicate routine. 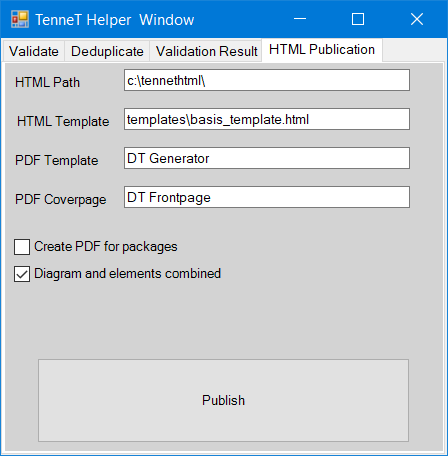 HTML report options for creating a html report based on the packages and the diagrams. Idea is that all the elements are collected based on the packages, subpackages and diagrams within the selected package. 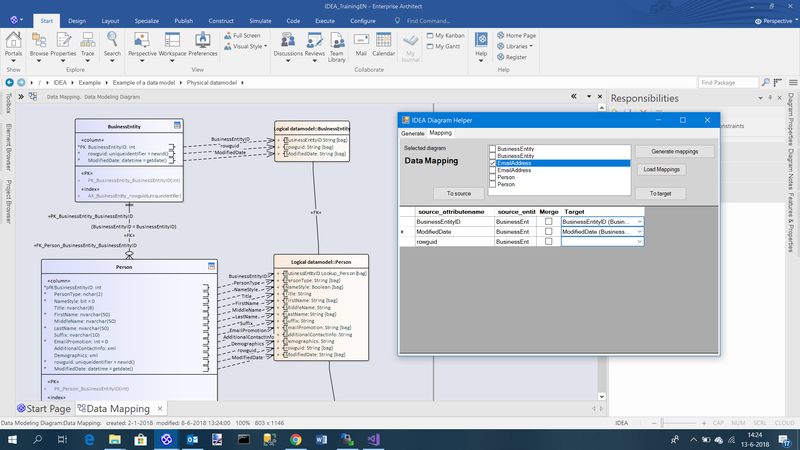 For data modeling an extension is included to generate mappings, mergers and refactoring options. This includes a number of forms in the AddOn but also a number of scripts that are available in an example eap file. More information on IDEA can be found on the IDEA website. For modelling Enterprise Architectures organisations can choose for multiple tools. In the Netherlands numerous organisations use BizzDesign as modelling tool. However license costs are relatively high and therefore some of the EAxpertise customers are considering to migrate to Sparx. Enterprise Architecture modelled in ArchiMate 3 models. 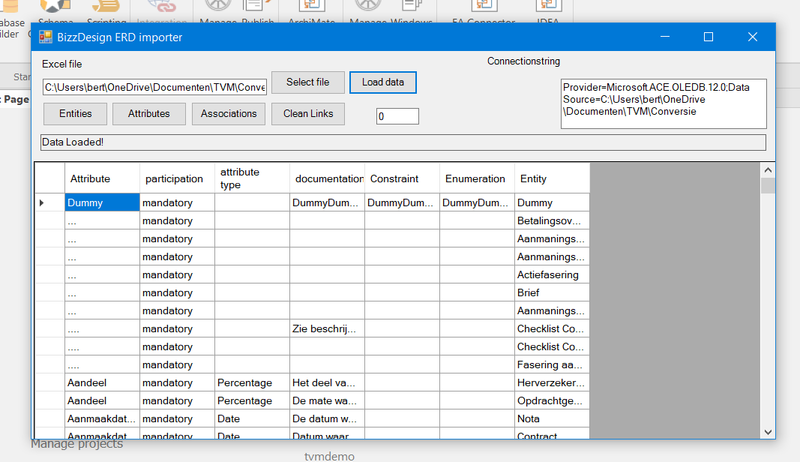 This can be migrated very well with the Model Exchange Format standard in the ArchiMate 3 definition. Data Models modelled in the Enterprise Data Model. For this part of the model there is no exchange format so we had to develop something for this. For the last part of the enterprise model we had to develop an extension. The rest of this article described this extension. The last option needs a little explanation. BizzDesign has the option, just like Sparx to add hyperlinks in the notes that link to other elements in the repository. However they use a different internal format for these hyperlinks. This functionality transforms the format of the hyperlinks to the Sparx format. See for the format of the excel sheet the template file. 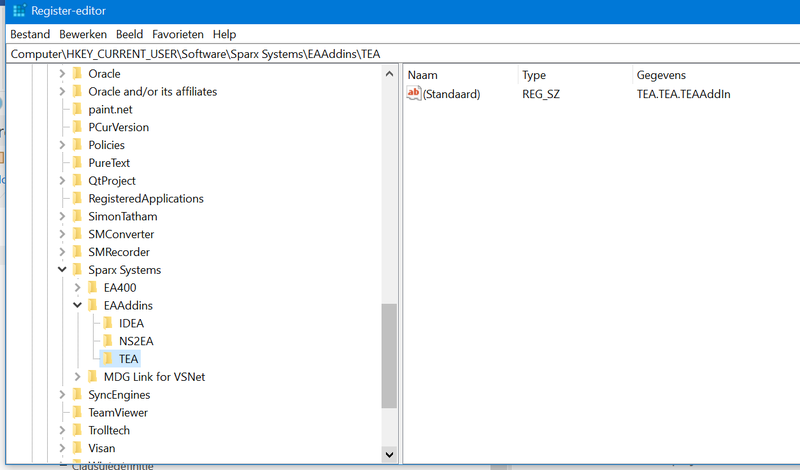 Register the DLL which is stored in dll.zip based on the steps described on the sparx website http://www.sparxsystems.com/enterprise_architect_user_guide/9.3/automation/deployingaddins.html Please note that you should run the regasm step in the directory of the actively installed DotNet version (last version folder with regasm available as an executable. Press the Deduplicate button and the merge is performed. Generate the HTML site and use the result in your browser. For support and adapations of the AddOn you can contact the participants in EAxpertise. However when you want to extend the product by yourselve please feel free to do so. You can find the Visual Studio project here. Sharing your adaptations in this AddOn is stimulated and will be published in the eaxpertise website.